Addiction and the Brain: a Focus on Opiates with Dr. Christopher J. Tuell, from the Lindner Center of HOPE. Our upcoming online Summer Special Event promises to be a fascinating and far-reaching discussion, beginning with a look at today's opiate epidemic. From there, Dr. Tuell will highlight the relationship between mental health and addiction and how they intersect. We hope the conversation will add to awareness of the ways in which addiction shows itself – in today's opiate crisis, but much more broadly. As Clinical Director of Addiction Services at Lindner Center of HOPE, Dr. Chris Tuell provides mental health and addiction psychotherapy services to a wide variety of treatment populations. Dr. Tuell is also Assistant Professor at the University of University of Cincinnati 's Department of Psychiatry & Behavioral Neuroscience. He is a clinical psychotherapist and a chemical and behavioral addiction specialist with over 30 years of experience in the field of mental health and addictions. 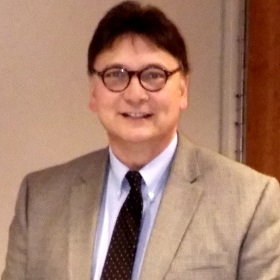 Prior to joining Lindner Center of HOPE, Dr. Tuell served as Center Director and Director of Employee Assistance Programs for Family Service of the Cincinnati Area, as Clinical Director of the Warren County Juvenile Justice Center and as a psychotherapist for Community Mental Health Centers of Warren County in Lebanon, Ohio and Mental Health Services West in Cincinnati, Ohio. Dr. Tuell earned his Doctorate degree from the University of Cincinnati, and is a Licensed Professional Clinical Counselor, and a Licensed Independent Chemical Dependency Counselor in the State of Ohio.